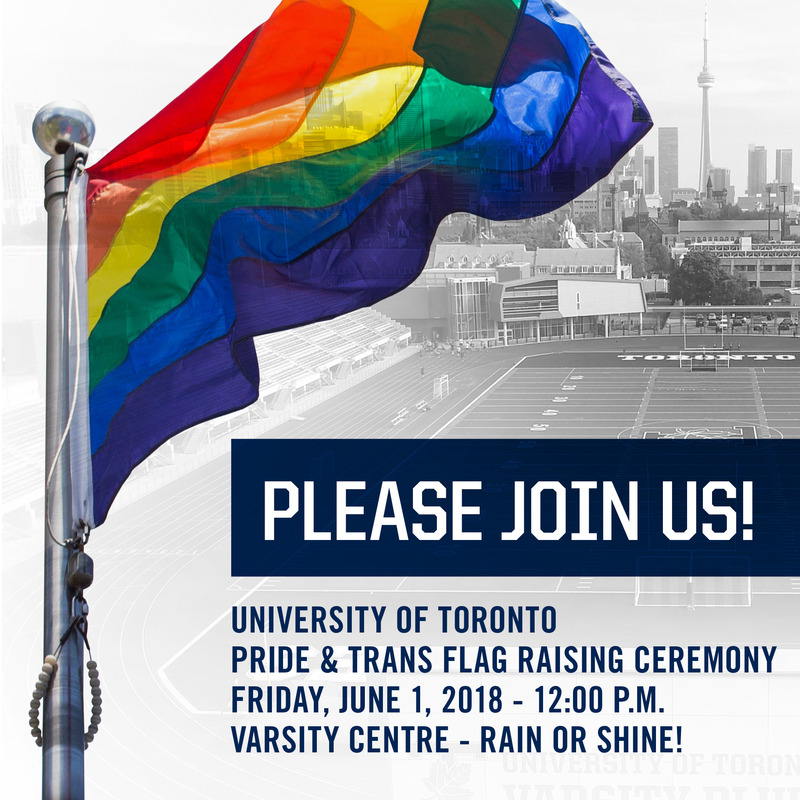 Join us for the annual pride flag raising ceremony at U of T! The flag raising ceremony kicks off celebrations at the university for the City of Toronto’s Pride Month. All are welcome! This year’s ceremony will be held on June 1, 2018 at 12 p.m. at the Varsity Centre, rain or shine (299 Bloor Street West). Light refreshments will be provided. Rain or Shine. If you are attending the event and require accommodation(s) due to disability, please e-mail Ivan Canete for assistance.